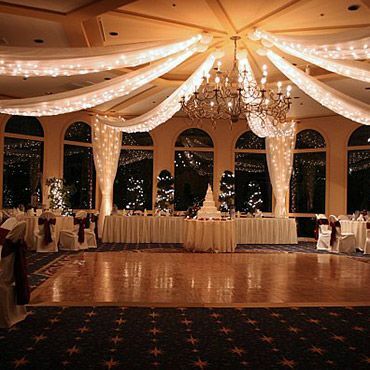 I've always felt that there is just something so magical and romantic about twinkle lights. 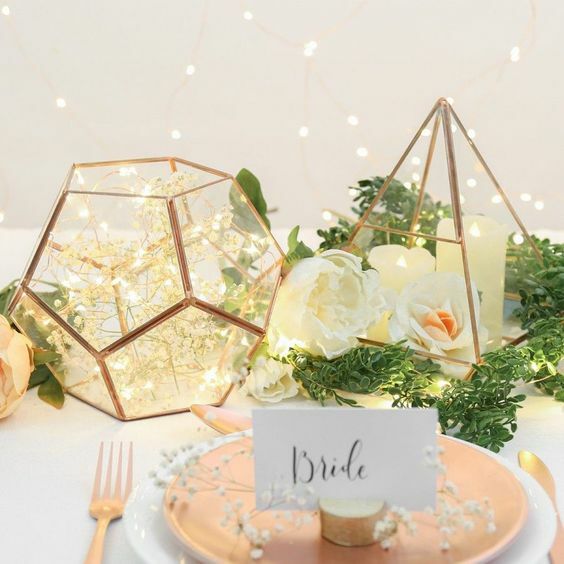 Whether you decide to cover the ceiling in twinkle lights or use the smaller fairy lights in your centerpieces they are going to add a romantic vibe to the room and transport you into your very own fairytale (who wouldn't want that??). 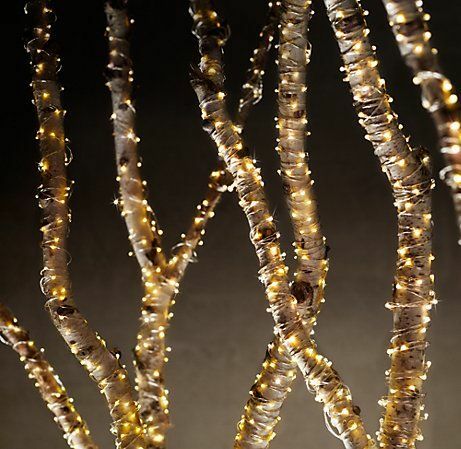 These magical little lights are classic and no matter your style you can find a place for them in your decor. Below I've included a few photos that will hopefully give you some ideas on how you can incorporate just a little more magic into your special day!